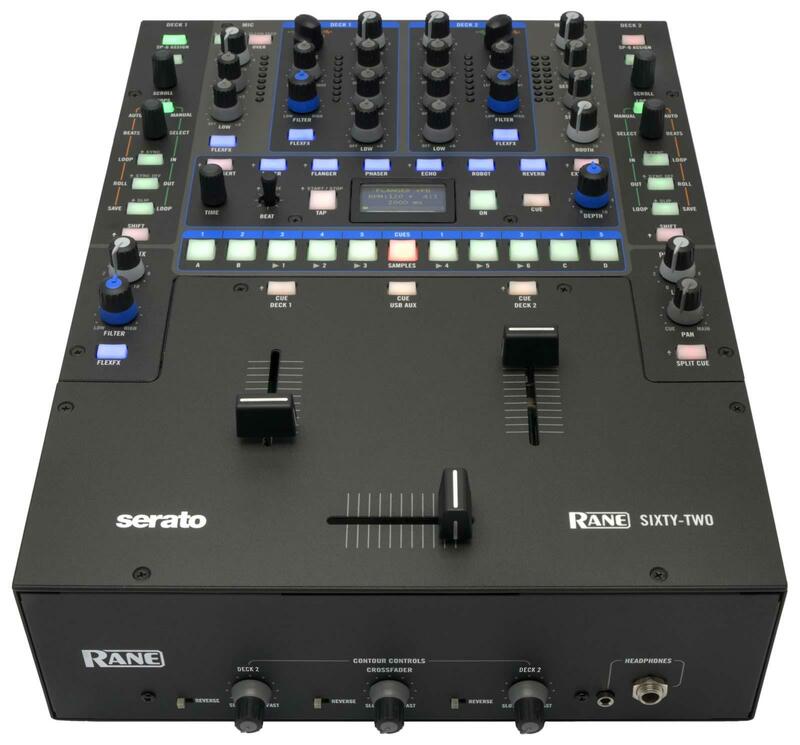 The Sixty-Two is the ultimate plug-and-play package supporting two-deck digital vinyl simulation, software controls, two USB ports for easy DJ transitions, on-board beat effects, software effects insert and all the record and playback channels you need. The Sixty-Two Mixer supports both analog and Digital Vinyl Simulation (DVS) playback. 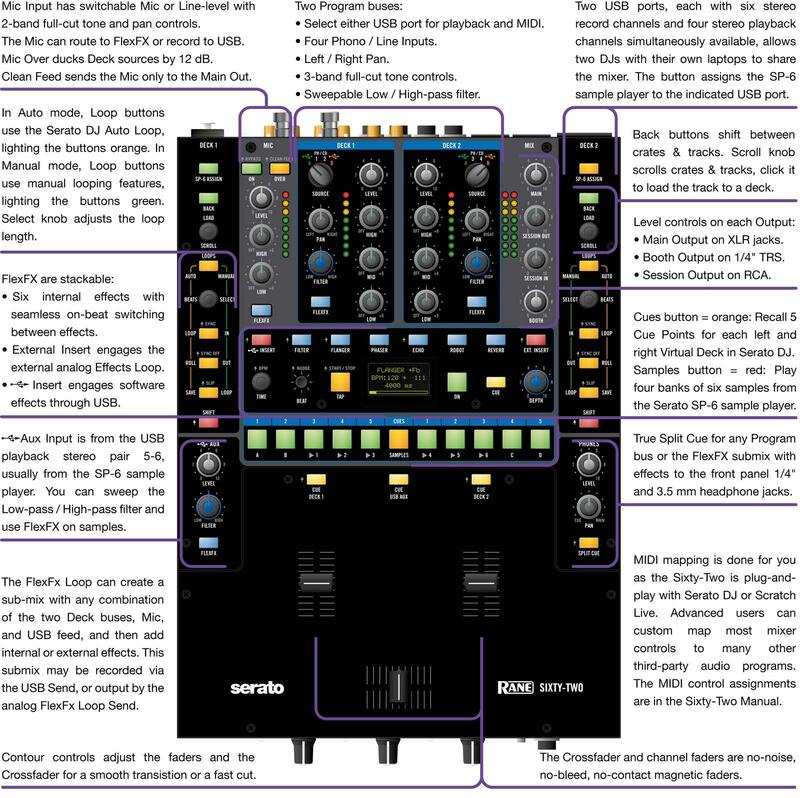 Serato DJ software and its manual are included, and the mixer is also compatible with Serato Scratch Live. 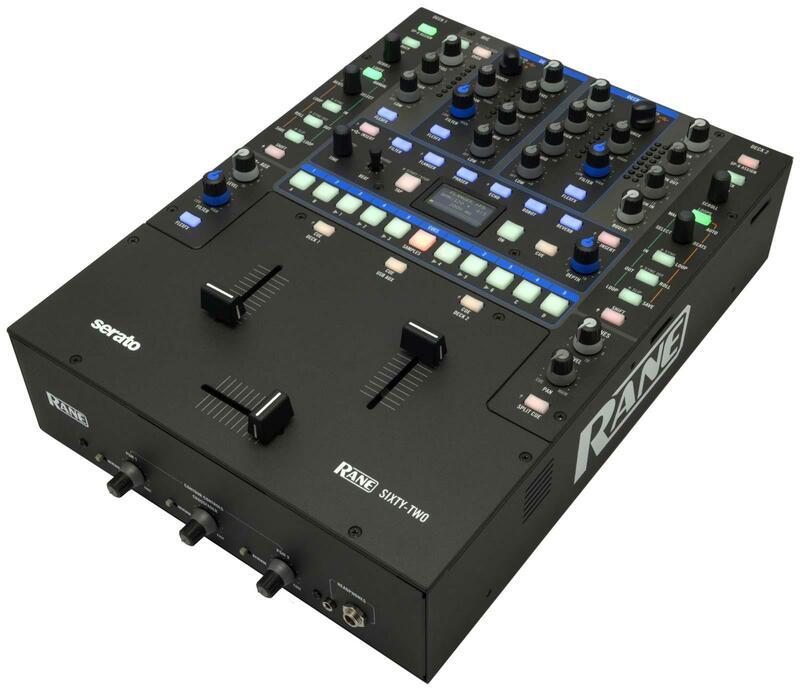 It includes Rane's ASIO and Core Audio drivers for use with other popular DJ and DAW programs. Two Serato Control Vinyl Records and two Serato Control CDs are included. • Direct control of over 40 Serato DJ or Scratch Live software controls. • Each of the two USB ports support six stereo record and four stereo playback channels. 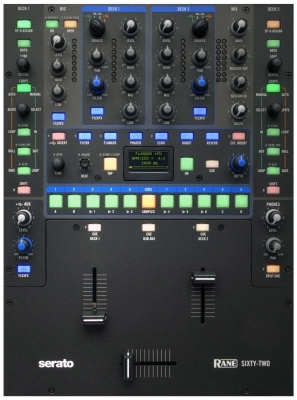 • Two DJs can share the mixer, each running different software, for seamless set changes. • 32-bit floating point audio processing sampled at 48 kHz. • Mic/line input on XLR/TRS jack with gain trim, two-band EQ, Flex FX assign and On/Over controls. • Internal Effects Engine with Filter, Flanger, Phaser, Echo, Robot and Reverb effects. • External analog insert for analog effects processor and USB Insert for software effects. • USB Aux Input for SP-6 sample playback with HP/LP Filter, Headphone Cue and Flex FX assign. 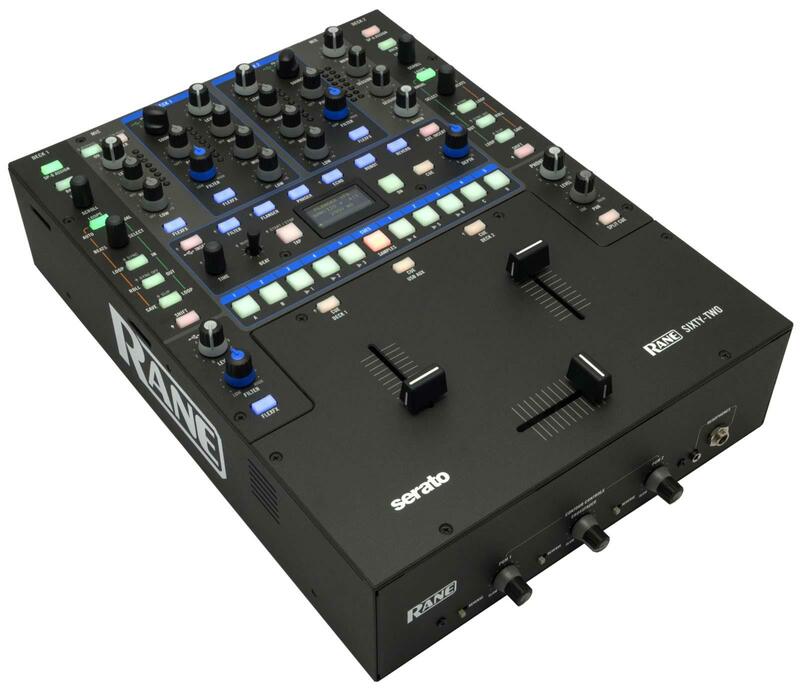 • Magnetic crossfader and channel faders with reverse and contour controls. • Create, modify and trigger your loops either automatically or manually. • Set and trigger your cue points on the fly. • Tweak the samples with the independent USB Aux playback channel level and filter controls. 14.25" x 10.5" x 4"